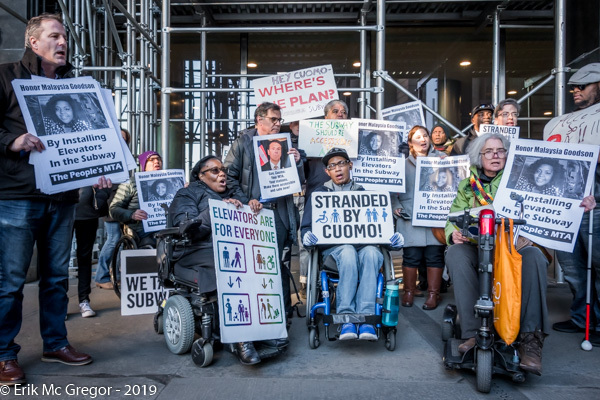 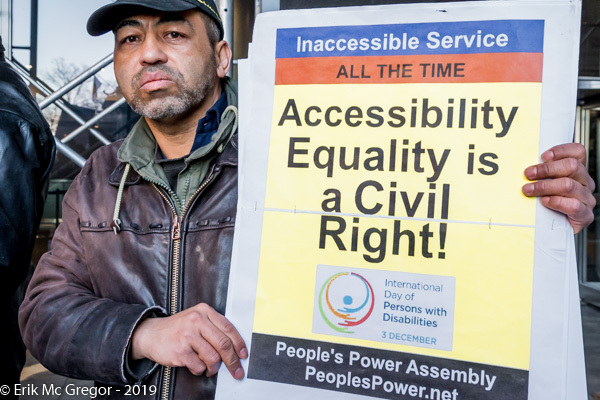 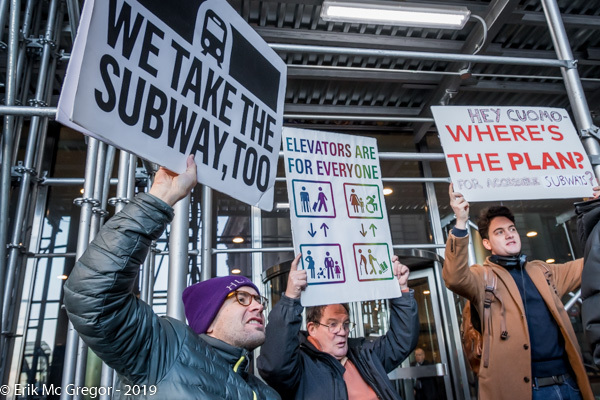 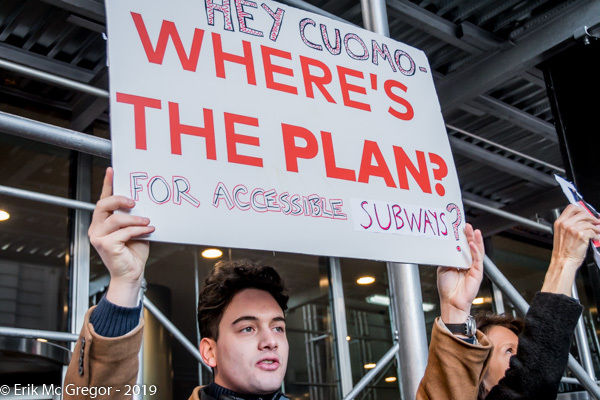 New York, NY – Subway accessibility advocates including The People’s MTA, Peoples Power Assemblies NYC, UP – STAND, Rise and Resist, and the Center for Independence of the Disabled New York, gathered outside MTA Headquarters in New York City on March 27, 2019 prior to the MTA board meeting for a press conference to honor Malaysia Goodson for International Women’s Month and to call for elevators and ramps all across the NYC subway system. 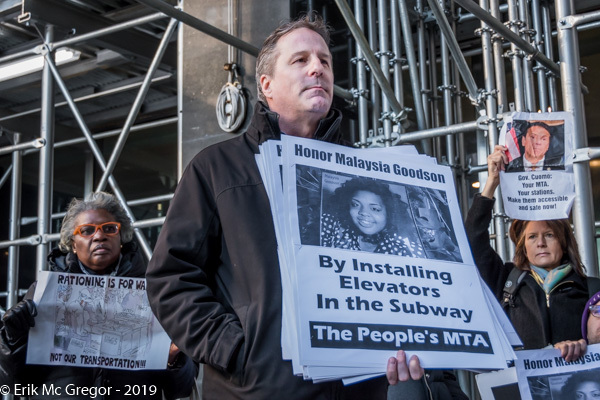 The group will be closing International Women’s Month by using the occasion of the monthly MTA board meeting to honor the memory of Ms. Goodson, who managed to save her 1-year-old even as she fell. 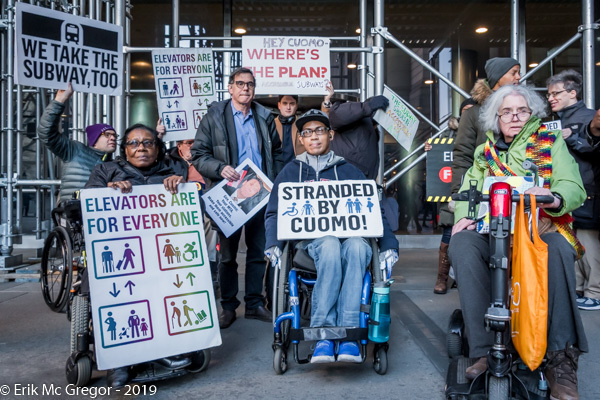 Rally speakers shared their stories and honor Ms. Goodson by adding their voices to accessibility rights advocates who have been calling for elevators and ramps in the subway for years. 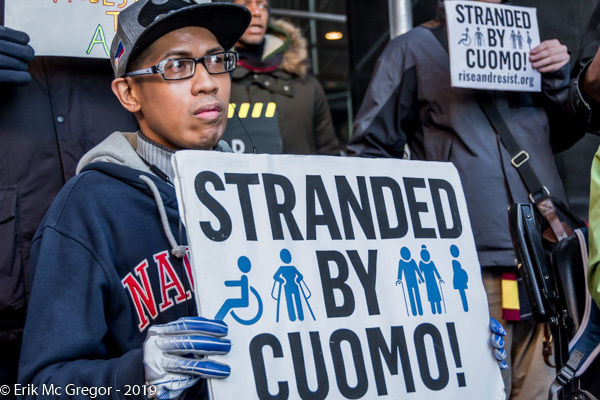 Our gathering will make sure her name is not forgotten! 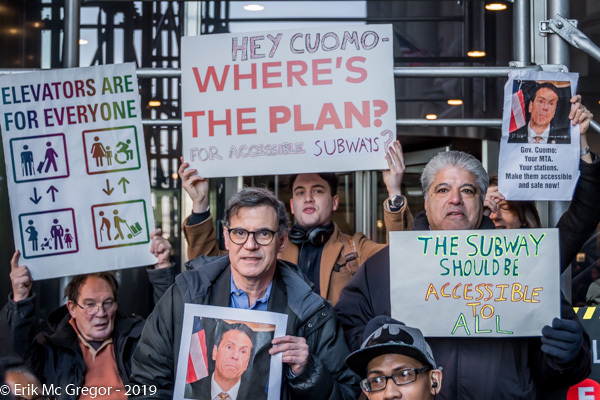 Afterwards, some participants went into the MTA board meeting to speak at the public comments section of the meeting.